Friends Requests – What Are Your Rules? Welcome Home, and thanks for tuning in to today’s Tuesday Newsday discussion. Now that I have your attention, lets look into this most important subject matter more thoroughly as relationships between humans do play a part in the overall condition of existence and survival of the human race. From this perspective, the online publication that you are reading this entry on is actually amongst other things, a business venture, which requires that we spend a fair amount of time researching subjects relevant to the online business industry, yet how we are set apart is through our ability to keep it human and get our data directly from the viewers as opposed to the social media experts who study the strategies that are supposed to work from an outsiders detached perspective. What something may look and sound like in tech biz terminology is as follows. Bottomline: You must care about people, building relationships, and providing value, and not come across as blatantly selling and self-interested. Now back to the surface where the earthlings reside, we can pretty much conclude that a majority of people that we all know have some form of an online social network profile, and the concept of friend requests and its rules is now embedded into the cultural fabric of everyday life in the digital age. Through having been at it ( web biz) for a hot minute, it was actually Myspace.com and its users that grandfathered in this phenomenon, before the “experts” in this arena added the business element to something that is for the most part, considered personal business for a majority of site users, so lets have a look at what the roots look like, shall we? If I had to sum it all up with a cause and effect scenario, it appears that the cause is a good old fashioned case of self importance as the cause, and the effect as competition. In a meeting yesterday, our staff members discussed the matter of teamwork versus individualism in the online arena as well as the world at large and it appears that individualism is the current norm, with social networking sites and the devices used to connect to them as tie ins to the promotion of this type of attitude and behavior. Basically, it is a “whats in it for me” mentality, which plays out with the image above, as the first showing of this friends request phenomenon was when a person requested another persons friendship, the requested individual would go the the profile of the requesting individual to thank them for their request, while simultaneously increasing their self importance through letting everyone on the requesting individuals profile in on the fact that they were important enough to be requested as a friend. Facebook.com and Twitter.com for online social services, the overall fundamental idea of self importance has remained intact, with the effects becoming even more complicated and stressed through competition and an over-consumption of and greater need for resources to be provided for use, in exchange for a request and demand for more resources. I have heard and seen stories of new as well as long standing relationships being tainted and destroyed due to the concept of friend requests as well as request declines and unfriending if such a word exists and since online communications have become an integral part of the daily existence of individuals, I believe that this is an excellent place to begin improvements for human race relations. For both business and personal use, because each are based on common like, and now common dislike as an emerging trend, I decided to open up a case study of my own, and since we are friends here at Your Friendly Neighborhood PimpHop.com, I will be including your experiences both positive and negative that you may choose to share, to come up with a working solution that would satisfy the needs and meet the expectations of the individuals who are involved and interested in betterment..
From my own personal standpoint, we tend to add friends and accept requests from individuals who have similar views, goals, and preferences which is where the criteria of the content here at this online publication is selected from which is a healthy shift from individualism to collectivism in which the topics discussed are relevant and relative to a broad audience as opposed to a search for propsÂ by me, R.B., so with that said, lets take matters into our own hands to make things well and better. Friend Requests – What Are Your Rules? 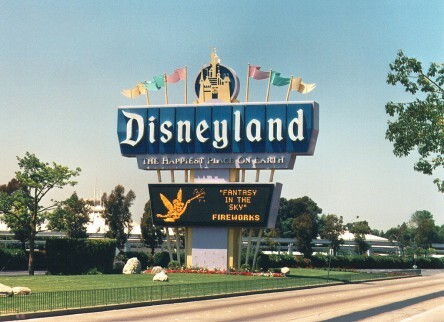 ILLUMINATI STYLE – We Go To Disneyland BEFORE We Win The Superbowl!